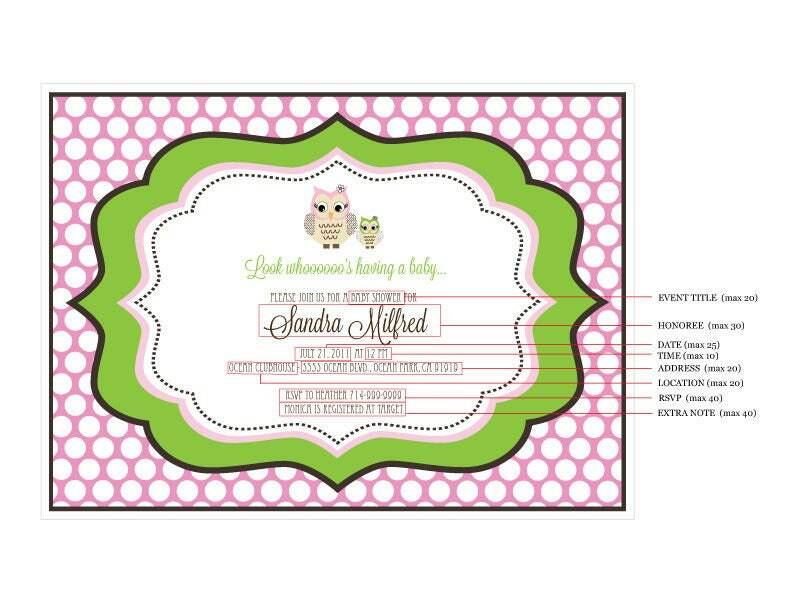 Gather your friends and family together for a special baby shower with these personalized Pink Owl Invitations. Guests will delight in the adorable owl designs and unique polka dots background. Customize your invitations to suit your event and build your baby shower decor around this stylish theme. Invitations include plain white envelopes. Invitation Size: 4.6" x 6.25"